Marathon Training on Three Runs a Week? 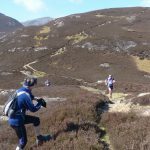 Scottish Marathons – how many marathons are run in Scotland? It’s Eastern Promise in the League! Nigel Heppell (two Ps two Ls) is raising money for the Boundary 500 Classic in aid of the Great North Air Ambulance Service. It involves motorbikes. That’s as much as I know. More to follow? I offered this battle cry ahead of our first Harrier League fixture – it means clear the way (for the might of the purple and green). The sun shone, cakes on top of tables and club flags blowing in the breeze – sounds idyllic and would tempt many an unsuspecting Strider to enrol for Cross-Country duties? Everything above is true. Then to the race itself – a lap-based route mainly on grassy surfaces, and gravel paths, with some testing hills. 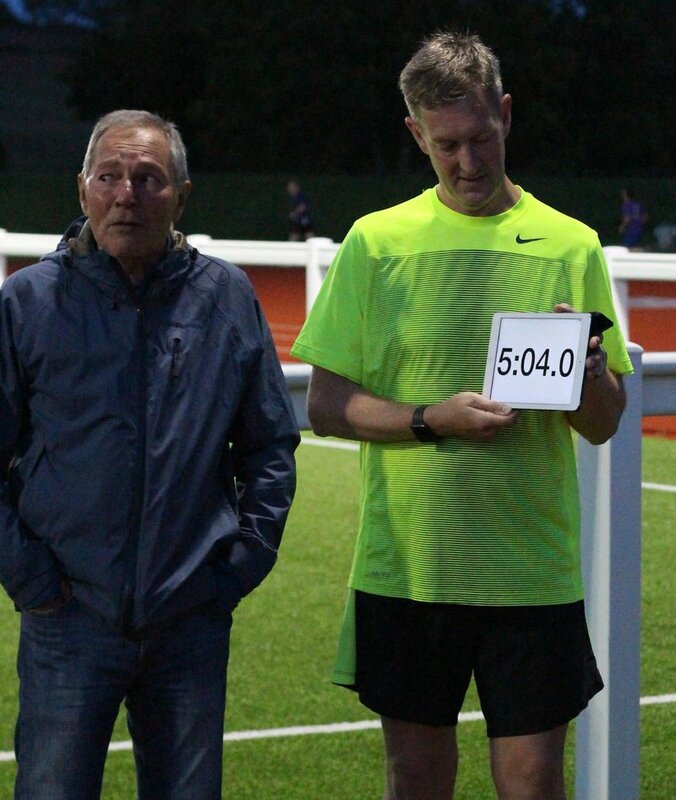 I was lucky, as a Veteran Man, I got to run three laps – a total distance equating to ~9.2km or thereabouts. 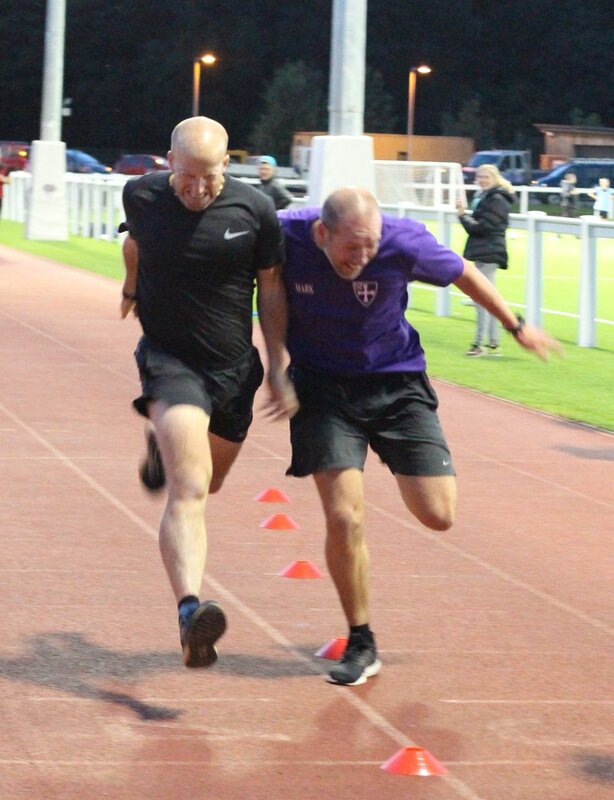 I attended with the full blessing of the Minister for Home Affairs (who I suspect has hidden my offending socks) and indeed, given this was the first fixture in the Harrier League, it seemed appropriate for the Chairman to lead from the front (at least for half a metre). I really do encourage the whole club to subscribe to our XC activities – it unites us and the team spirit is truly fantastic. Of course, we’d like folk to run and you need not be the fastest runner – every performance counts. That said, the performances of many are enhanced by the valiant efforts of our enthusiastic supporters who provide encouragement aplenty. I won’t lie – I found today a bit tough. Perhaps it isn’t advisable to run a race like this so soon after an ultramarathon (exactly one week to the day I was running in the Causeway Coast Ultramarathon in Northern Ireland). I decided my best my best option today was to try to run briskly but steadily (mainly because I feared that if I went off too fast with the after-effects of last weekend, I’d come unstuck on the third lap). And so, I managed to run with even(ish) splits and a half-reasonable average pace of 5:01/km (8 minute-mile in old money) until the final couple of hundred metres when I put in a distress call to the engine room which responded with a slight surge to the line. 46:22 on the results and position 420 from a field of 594 runners and a warm glow as my reward. See you at one of the next fixtures. I emptied the tank today. Clean up your minds, you mucky lot, all I mean is I raced as hard as I could. But that was what was going through my mind as I reflected on the first XC race of the season, and it left me thinking what else I did right and what I did wrong. Right – using whatever I had left on the finishing straight to try to reel in the two ahead of me. Didn’t work this time, but kept those behind me…behind me. Right – choosing the lemon drizzle cake – whoever made it, thank you, it was wonderful! It goes to prove that even if you start off on the wrong foot, if you can put any mistakes out of your mind you can still make a good race out of what could turn into a disaster. And that gives you a chance to empty the tank…so to speak. Sometimes, words are not necessary, and numbers will suffice. The pertinent numbers here are, as above, 14 and 6000. That is, 6000 ft of ascent and descent in 14 miles or, to be precise, 483 ft of ascent for every mile run. For perspective, to be category ‘A,’ a fell race must have 250ft ascent per mile, so the Sedbergh race effectively is basically meeting the grade, then sticking 233 ft/mile on you for fun. Why? Because. Unsurprisingly, both times this race has been in the club GP it has only attracted a handful of Striders, despite its relative proximity to Durham and the ease of entry; I suspect the numbers above are relevant to this. That said, it is as pure a fell race as can be found, in that the tarmac content is a couple of hundred yards at the start and finish, navigational skills have to be deployed and the scenery, whilst not Lake-district spectacular, bears witness only in fits and starts to the hand of mankind. When one can see it, of course, which wasn’t really the case for Geoff D, Mike B, Nina M and I, Mike and Nina having merely to get round to wrap up the fell category in the GP for the season, having found the time to run enough of the other races, and the form to run them hard, to be certain of their victories as long as DNFs were avoided. 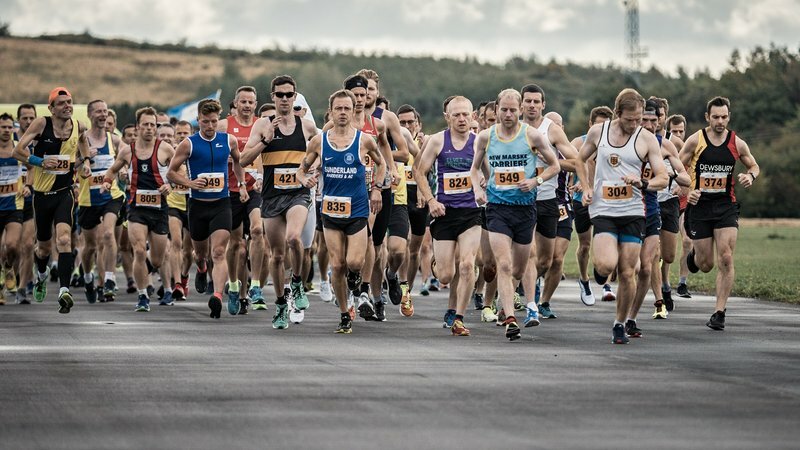 The race this year had a field of c120 runners, and due to conditions we were advised that the two cut offs, at Arant Haw (2m in) and Black Force (7m) had been extended to 45 minutes and 1hr55m respectively; clearly the organisers expected some navigational mishaps. A quick 3-count set us off, the first stretch on slightly uphill tarmac, bending right, into a farmyard, then onto the slopes of Winder, skirting the peak to the east, climbing on gradients that permitted stretches of slow running between stints of walking as fast as grip and incline permitted. Already, within 10 minutes, I was sweating and had lost sight of the leaders, visibility limited by the low cloud which seemingly sat at around 350m throughout the race. Having missed the top of Winder, the course drops briefly into a saddle, from where the fairly runnable southern slope of Arant Haw takes you to CP1, the marshals well-wrapped and with tent and flasks evident. This leads to a nice grassy descent where the legs can be let rip, as there is a good trod and nothing technical for a mile or so; I let fly here and gained a couple of places, feeling ever so pleased with myself until it occurred to me that I now had to try to remember where exactly to break off the trod and veer north-west to hit Chapel Beck where it forms at a Y-junction of streams. Reader, I guessed, and the lack of knowledge of 5 or 6 others showed in that they went with me too, even though it transpired I’d gone a little too early and the first water I saw on breaking through the clouds was one of the feeder streams. That said, it acted as a nice visual marker in that I just had to keep going downhill and left to know I’d be back on track, the other confirmation coming from the stream of more accurate runners descending slightly to the west. The beck this year was not the trickle of 2 years ago, and the force of it swept a leg from me as I crossed, resulting in a face-plant into the water, so it was probably a good thing that the climb out, to CP2 at Castley Knotts is a hands-on-knees beast; strictly no running here. From the control comes a section that should be fairly quick, and started so this year until the visibility meant that I lost the path that largely contours round to Black Force, descending sooner than I should and having to pull myself back up wet slopes, through temporary springs erupting from the hillside, runners above me who’d kept to the trod, runners below who’d miscalculated worse than I – at one point, a runner glimpsed in the valley bottom, seemingly intent on working his way back up the stream bed of Black Force. I regained the trod, dropped at speed into the stream junction that forms CP3, stopping to take the waters deliberately this time (cold, with the delicious sweet tinge of peat that you never get from the tap) before moving on to the section that broke me 2 years ago. Between CP3 and CP4, which is at the confluence of Hazel Gill and Bowderdale Beck, is a mere 2.5-3 miles of eastwards running. The sting is that it is pathless, and takes 3 climbs and descents to get there. The first, Docker Knott, was relatively simple and permitted a bit of a run with only a little walking before a fairly easy descent and a climb out to the south of Simon’s Seat, hand-railing a stream in a re-entrant up to a saddle then dropping again, the handful of runners in sight providing no clues as they were all taking different lines to each other. from the saddle a trod seemed to lead the way, but my compass said otherwise, so I trusted it and dropped on a bearing due east, down a steep, wet, grassy and uneven fellside, to be met by the welcome sight of 2 more streams in spate, again meeting. This was my marker, and I aimed directly at it, went through them both, the water thigh-high in places, then up and out to climb/traverse Hazelgill Knott, aiming not for the summit but to cut around the northern slopes and then SE to CP4. Here, I picked up on a couple of runners as we hit the cloud again, and tailed them as I walked the last few hundred yards of climbing, reasoning that at about 9 miles in it was not unreasonable to break out the sugar, in the form of Kendal Mint Cake (brown). Shoving this, and the map and compass back into my bum-bag, it was with relief that I crested the slope and started to descend to CP4, life just getting better when it appeared exactly where expected and the marshals had thought to strew a handful of plastic beakers next to the beck for refreshment purposes. Two cups duly drunk, it was with enthusiasm that I laid into the next section to CP5 (The Calf), which the PB Sports map describes as ‘all runnable,’ a statement that doubtless applies to the elite but which, I had to accept was not true for me; the first mile, heading due south with the beck I managed, the second, climbing steadily to the calf I confess to having slipped a couple of little walks into before resuming a run as things started to flatten towards the top of The Calf; that said, I managed to overhaul the pair I’d tailed to Bowderdale Beck and got another couple of runners into my sights, intermittently. From here, navigation was easy and the gradients kind, progress from CP5 (where Jan Young had emerged from the mist, as always heard before she was seen) to 6 being relatively rapid along rough but clear tracks and relatively shallow rises and falls; it was another 2.5-3 miles to Winder, but they did not compare to the CP3-4 section in any way. Winder trig, CP6 came, the post being touched and the descent commenced with glee, all the more so when I broke out of the cloud to see Sedbergh below and DPFR and Bingley vests to chase down. The former was caught, only to evade me as the greasy wet slope got steeper and steeper, leaving me on my bottom too often and sliding a good 100m in one go at one point. I got him back in sight on the road, but he was too far ahead to catch, and I had to settle for 25th (3hrs, 2mins), admittedly a big improvement on 2 years ago, when an ankle had gone at 8 miles and the remainder had been limped, slowly. A quick shower, a bottomless teapot in return for a donation to the MRT, and life was good again, all the more so when Mike, holding ribs cracked on the final descent, Geoff and Nina all arrived in short order, all sub-4hrs. Similar tannin therapy and they were vaguely restored also. As races go, this is a bit of a beast, and the numbers act as fair warning that this is probably not a first fell race for anyone. However, like so many things, and people, in life, treat with respect and the rewards are immense; although, with no Striders being in the prizes, said rewards were not, on this day, financial. 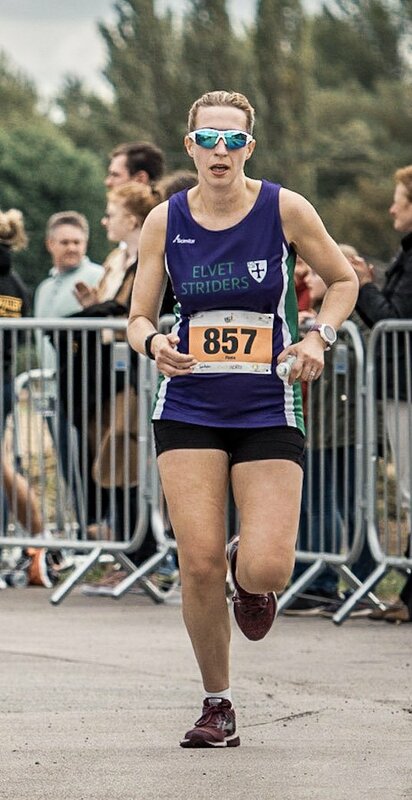 Since joining Striders 3 years ago and getting in to this running lark, I have often questioned my self as to whether I am an athlete or not. I am often the recipient of letters and emails from various sporting organisations addressed to ‘Dear athlete’, and note on race applications and results lists, that athletes are participating in the same event as my self. But the fact is I just don’t see myself as one of the tribe. For me, an athlete must have a six pack, muscles in the right places, a square jaw and absence of numerous chins, look the part with all the right gear, and demonstrate excellence in their chosen sport. This goes back to my youth when sporting athletic hero’s looked the part and delivered. People like Brendan Foster, Linford Christie, Sally Gunnell, Kelly Holmes and Alf Tupper were in their prime, and achieving sporting greatness, and are the role models on which I measure what an athlete should be. I conversely don’t fit in to that mould. Firstly, my body has a bit of wear and tear, consisting of a series of sporting and work related injuries, held together primarily by scar tissue and lumpy bits. Getting out of bed in a morning, any form of sudden movement, or just walking the short distance from the bed to the loo, is always accompanied by a soft ‘Oooooh’ or “Argghhhhh’ as I manage the aches and pains and delicately try to get things moving. Once I get going, I’m fine, but the getting going gets harder with age. Secondly, my list of athletic achievements remains short. Admittedly, I was a joint winner at the Maltby Church School wheelbarrow race (1973). I competed in the Inter-house schools cross country (1981), finishing around the back of the field limping in and ending up in hospital having 3 stitches after falling over in the mud at Roche Abbey. I completed the Raby 10k and was awarded a prize, but could not collect it as it was for 3rd finisher in the W60 section having taken a hand me down entry off a friend. I was 32 at the time. Quite simply, I could not see myself as either athletic or an athlete. However, things changed a little at the beginning of the year when I retired from work. With more time to focus on training I vowed to improve my running and compete more effectively in races, working to more of my strengths to help improve my fitness. With very dodgy knees, which are painful in a morning and after longer distance runs, I simply could not risk increasing running mileage. Therefore in addition to the usual weekly runs, I focused on working very hard in spinning classes, 2 sometimes 3 times a week, and cycling in general. This helped me enormously, both aerobically and strength wise, and helped feed my competitive urge when I started to see some improvements. A failure on my part was not to have a training plan as such. In my mind, if I worked harder, then there should be some improvement. However, as a training aid I have bought a Garmin Run / cycle / swim watch, which I have to admit is brilliant. Apart from trying to run a route, which writes my name on the Garmin Mapping Package, the advantages of the Garmin are many fold. 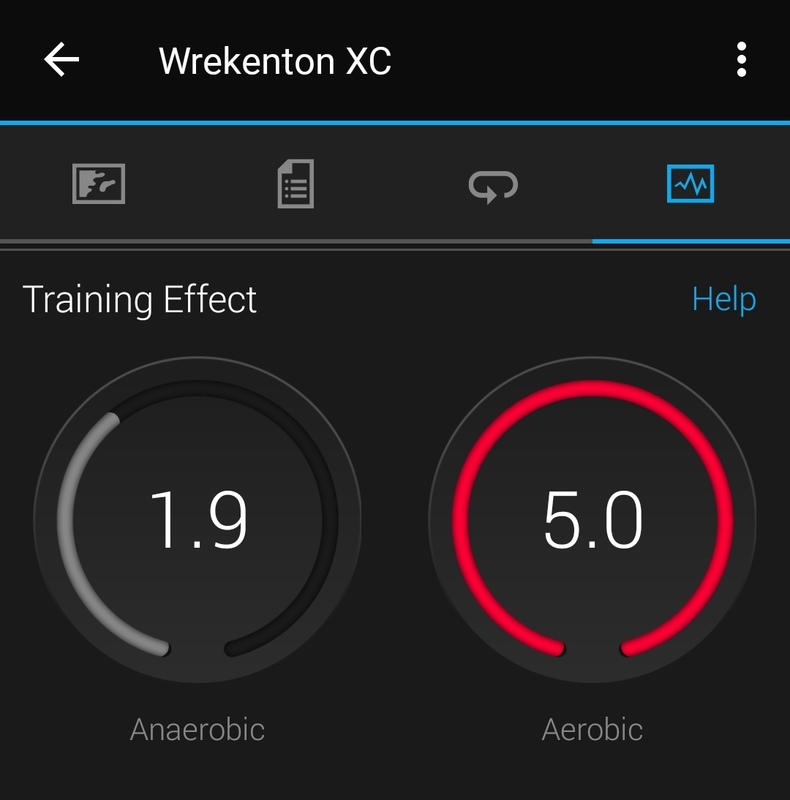 I now know what different running paces feel like rather than second guessing, I can see performance improvement in the stats, I can see what times mates have run and rub it in that they should be faster than me by virtue of age. In December last year, with little specific training I completed a half marathon for the first time in around 25 years in Sunderland. It killed me, and post race I could hardly walk around, with stiff legs, hips and other bits. 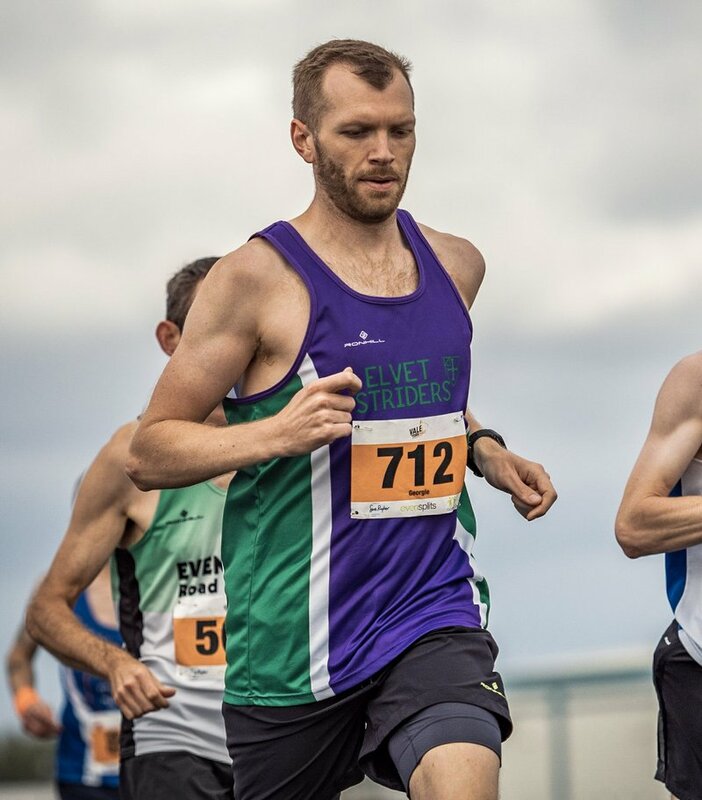 However, I had set a marker PB, which I vowed to beat when I next competed in a similar race at some point in 2018, and the VOY Half Marathon was my target. Running magazines, wise wisdom and other top tips seem to advise that Carb loading is a good idea the night before a race, with a nice pasta dish being a meal of choice. That’s all well and good, but I have a great recipe for a Chilli and baked bean sausage casserole, which I made the night before the Trail Outlaws Penshaw Monument half Marathon. 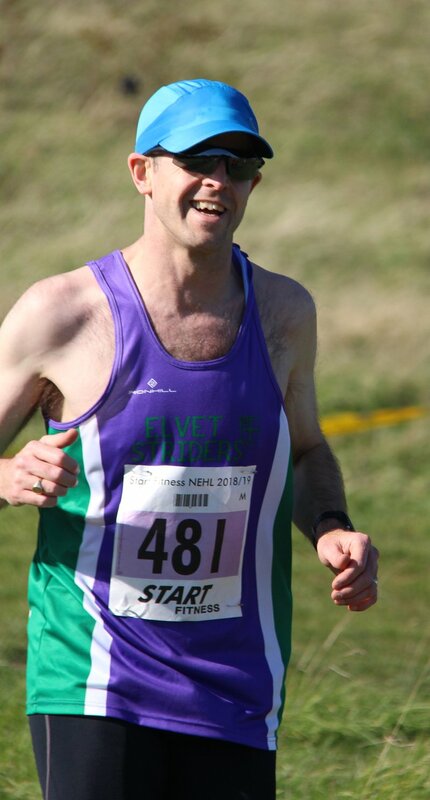 As hills were expected in this race, I washed the meal down with a bottle of Wainwrights Beer. The problems started at about 3am with some stomach gurgling. Having taken appropriate measures I was ok until the moment 20 minutes before the race when I had a distinct need to complete a 100m dash to the toilets. I was pre prepared having taken a role of Andrex™ Best from home, but the main issues was not my ablutions, but the fact I fell off the toilet as the screws holding it to the floor came away and tipped me off. Unbeknown to me, the plumbing from the cistern was now detached, from the toilet, so when I flushed the loo, 10 gallons of water flooded the men’s toilet block. I managed to do some plumbing repairs,, but the cubicle was a mess. I’m sorry if this affected anyone at the time, but I did report it, and it wasn’t my fault, but it was a lesson learned, make sure you eat the right food before a race. The motto is be prepared, and go regularly so that the system is clear. I thought it was clear on the Gateshead trail 10K at Blaydon, but about a quarter of the way around I had that stomach gurgling again. Whether this was pre race nerves affecting my system or what I’m not sure. The effect was that as the race went on I was running with very tense muscles, and was very close to making a dash to some tree cover to seek relief. Counting down the last kilometres was desperate. However, I eventually managed to get over the line, grabbed my medal and continued at 4-minute mile pace to the toilet cubicles. That was another lesson learned on my way to being an athlete. This is a real problem for me. Not the fact that I need to take water on board, but how to take water on board at water stations. Race organisers seem to think up different innovative ways to soak me rather than feed water in. c) Water pouches – As used at the Durham 10k. This was a real hard one to master, as I simply could not get the water out whilst running, so gave the damn thing a really good squeeze, resulting in a jet of water in the face and up my nose, missing my mouth completely. My agreed approach now is that I simply don’t care, and as long as I take water on board, I’m happy. Race organisers like to give out nutritional treats at feeding stations, particularly Jelly babies, which in the right circumstances are great. Personally, I bite the heads off and chew them, but the dilemma is how many do you take from the box,? And can you select the red berry ones, and ditch the green ones without losing time? At a Trail Outlaws race I just grabbed a handful as I passed the feeding station, but had too many to eat at once with out feeling sick. Rather than chucking to them away, I decided to keep a few back, only for them to create a horrible sweaty and sticky goo in my hand. Is it race etiquette to grab a handful, or just take a few selected ones to nibble at? I have not worked this one out yet, so it’s work in progress..
I’m always being given helpful advice on race strategy. 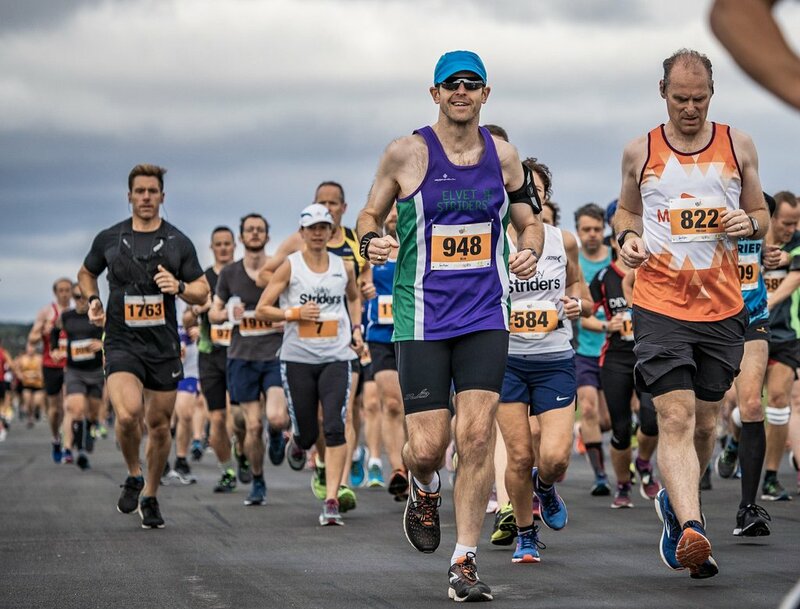 Whether that relates to the pace for the race, (start out slower and finish faster; start out faster and finish slower; just hang in there for grim death), or make sure you get near the front at the start. The reality is that I fail on race strategy on the day, other than by adopting an approach that I must beat Runner X to the finish line. 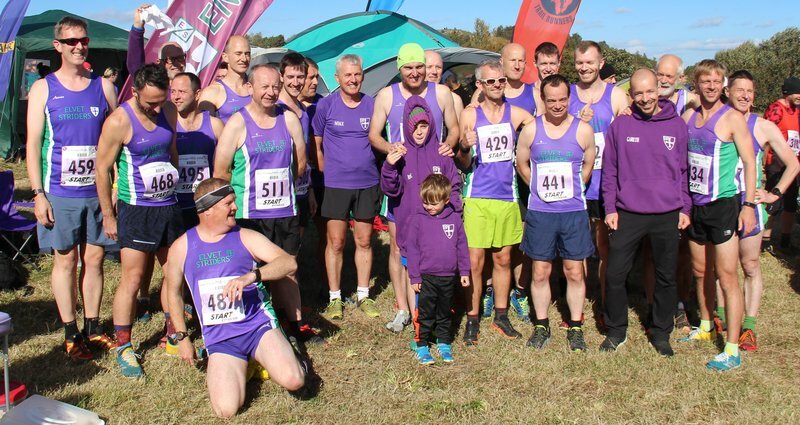 Runner X being a friend from the dark side, otherwise known as Durham City Harriers. I need some coaching on race strategy. This is a completely new concept to participation in sport, both in training and at events. It never ceases to amaze me that so many photo opportunities exist. The only problem I have, is that I have a great face for radio. 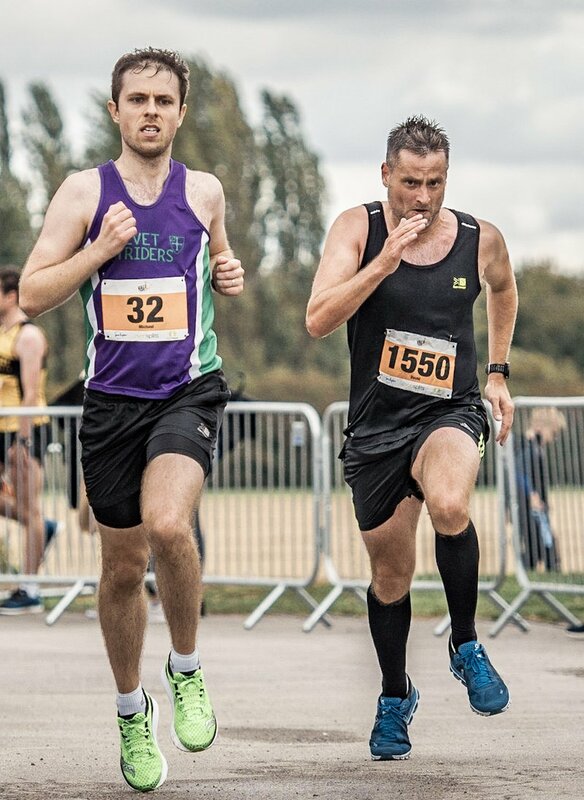 From photos I’ve seen, I seem to manage to pull a tremendous gurning race face, look like a burglars bull dog chewing a wasp, or generally look half dead, even when I’m stationary and not even started the run. Once I’m up and running, strategically placed photographers always manage to capture me looking as if I’m in the mid throws of collapse, or dealing with trapped wind. 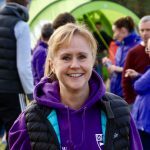 A recent article in Runners World stressed the virtues and benefits of running with a smile, and the evidence of this is everywhere in photos of others, happily running with a happy carefree smile and striking new PBs. I’m just going to have to smile more when running in order to achieve my goals. With these observations in mind, I made my way to Sherburn In Elmet for the VOY, with a view of trying to get a new PB for the distance. On arrival, the first thing to notice at the race start, was the total absence of Crocodiles, Father Christmases, Dinosaurs, Hen & Stag parties and runners carry fridges on their backs. 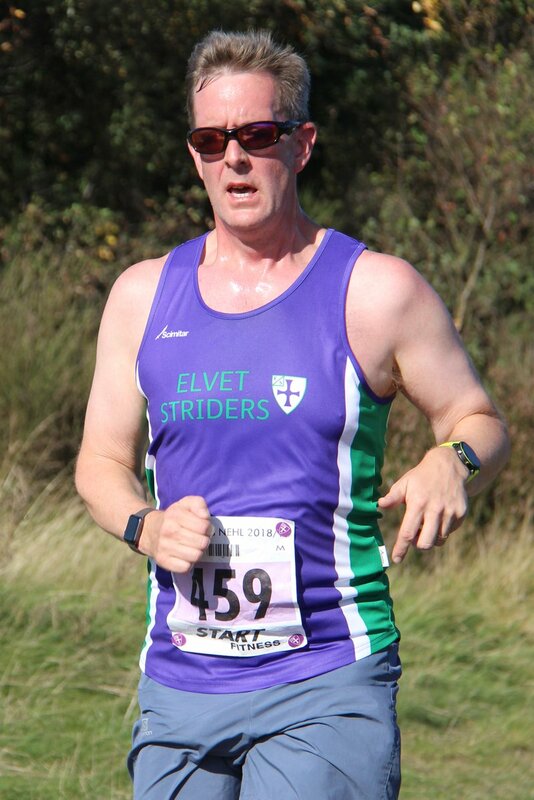 What was obvious was the number of club runners sporting their club vests. A smattering of north eastern clubs were represented, but I guess the GNR drew in many from our region. However, the race was dominated by clubs from Yorkshire, such as Steel City Striders, Grimthorpe Harriers, and Royston Vasey ACC. With the promise of a flat fast paced course, the race had clearly attracted many runners intent on going for a good time or PB. Getting to the start was simple. 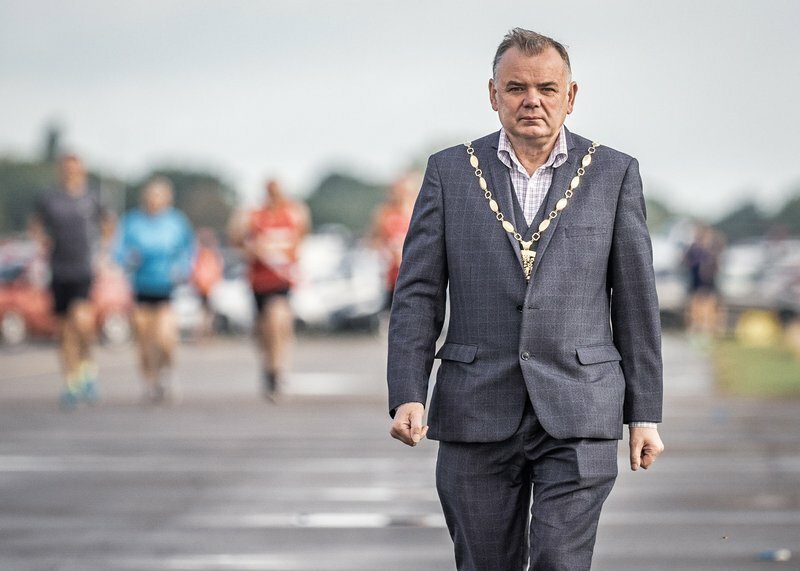 The only local celebrity available to start the race was the Mayor of Selby, who thanked everyone for coming and set off the race with his air horn. Pasta, and no negative after effects. Got to the start in good time, and completed without issue. No problems, I just saved the hassle by pouring it over my head. Got near the front at the start. I went out far too fast, died at 8 miles as I turned in to the wind, but managed to keep things going and got over the line in a new PB. Runner X got to the finish line 11 seconds ahead of me after a last ditch overtake, and that’s not got to happen next time. Having said that I had the moral victory as he is 10 years younger than me, but I wasn’t able to articulate that well to him after the race, plus he wasn’t listening. Smiled all the way around, with evidence from the event photo gallery. Its fair to say that I have learnt my lessons, shown improvement and despite several previous mishaps, have become a little more proficient in this chosen sport. If that makes me an athlete, then I am a happy runner, and role on the XC season. Vale of York Half Marathon was my first race at this distance back in 2015 and I loved the event, so wanted to pay it another visit. It’s based out of the aero club near Sherburn-in-Elmet (between Leeds and Selby), so it’s a bit of a drive to get to (about 1 hour 30 minutes from Durham), but not outrageous for a half marathon. I’d arranged to give a lift to David Browbank and Georgie Hebdon, partly to be a bit greener and partly to have company on the drive. It was a smooth journey down the A1 as one might expect for early on a Sunday morning, only punctuated by the seemingly never-ending road works in two places. Sherburn in Elmet is only 10 minutes or so off the A1, so really easy to get to. We knew that the road to the car park was also part of the race route and the access was being closed at 9am, so setting off at 6:40am to get there just after 8am seemed like enough contingency for any travel problems; it was plenty. As we arrived, we chuckled at the apparently over-zealous marshalling in the car park as we headed over to the portaloos and registration (in that order, got to get your priorities straight). We were early enough that both queues were limited and the loos were still in a decent state, so there was an added benefit to being early. For some reason, the aero club seemed to be a centre for the local wasp population, so once the car park entrance was closed and the announcement went up to head over to the start we trotted over to shake them off and made use of the runway for the rest of our warm-up. Conditions were cloudy and reasonably mild (mid to high teens celsius) but breezy; looking back, we had much better overall conditions than the Great North Run competitors were “enjoying” that morning. The start was scheduled for 9:30am but was delayed for about 10 minutes for people arriving late at the start. After a couple of short announcements, we were off. 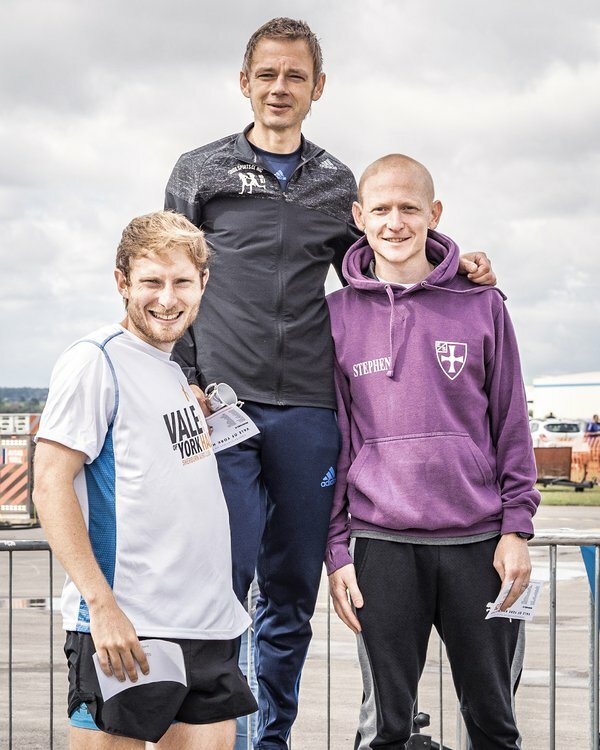 The course was slightly modified for this year but started in a similar way to my previous experience – we went most of the length of the runway and looped back before following the aero club roads out onto the surrounding lanes. I set off at 8 minute mile pace as that was my plan and what I intended to hold for the first half of the race. Once I’d settled into my pace, I switched to keeping tabs on my heart rate, since I know from experience how best to manage my effort through the race. One of the big attractions of the course is that it’s almost completely flat. There’s one rise in the form of a bridge over the railway line which we reached just after 3 miles and appears again on the return. I eased off the pace coming up the slope and picked up a little coming down the other side before settling back into my pace. The camber of the roads is, shall we say, interesting. In places they’re pretty flat, in others they distinctly roll off to one side or another, so at times I had to pick my line carefully to avoid running across the slope. The beauty of the smaller field (limit of 2,000) meant that after the first couple of miles it was possible to pick whatever line I wanted. After the railway bridge, there was a stretch through Bishop Woods, which was also where the first water station was set up. The road continued along to a crossroads shortly after 5 miles where a left turn started the loop of the lollipop-shaped course. Just after taking the turn I started on my fuelling – jelly babies – which I know I benefit from and have tried in training before. I find them less uncomfortable on my stomach than gels. I’ve heard people describe the course as dull, but I think the area’s very attractive, with lots of open countryside, occasional housing and some variety to the views. A lot of the people who live in the area come out to watch the race and support the runners, some at junctions & turns, some at the ends of their drives. It’s a welcome boost all round the course. Just after the second water station, about halfway round the loop, I started to pick up the pace a little – about 7:50 per mile, sticking to the plan – which lasted until about the end of mile 8, when the wheels started to come off. My legs were numb and I had to ease my pace off to around 8:20 per mile just to keep my heart rate in check; I knew that if I tried to push on at the pace I wanted I would blow up way before the finish, and I had a feeling that breeze was going to play a bigger part towards the end. I gritted my teeth and concentrated on plugging on, keeping my heart rate progression where I wanted it. Over the next 3 miles or so, I managed to keep up at between 8:10 and 8:20 pace, ignoring the last water station in the woods and measuring my effort over the bridge – easing on the climb and accelerating downhill again. That breeze I mentioned had mostly been at our backs, cross-winds or sheltered in places by the wood or the hedges. As we turned back along Bishopdyke Road, just after 11 miles, it was full in our faces and a fair bit stronger than it had been on the way out. There was still two miles to go, no prospect of shelter from the wind and dead legs. This was purgatory. Even turning a 90 degree left turn towards the aero club at 12 miles didn’t seem to help. Nothing for it but to focus on trying to keep form and cadence, dig deeper and just get to the finish. It was great to get shout outs from faster Striders who’d already finished, like Chris Callan, and other Strider supporters on the run in. From my previous running of the course, I knew where the finish was so I was able to time my final effort. I hadn’t used any of my fast-twitch fibres up to that point, so managed a respectable kick over the last hundred metres or so, but that was my lot. I left everything out on the course and that’s all I could ask of myself. If I’d managed to pull off what I’d intended in my planning, I would have achieved a PB compared to Sunderland 2017. As it was, I came in 2 minutes slower at 1:46:55 (chip time), but beating my previous time on this course by 3 minutes. I could try to blame the wind, but I reckon it only took about 40 seconds out of me over those last two miles. The truth is that my training wasn’t enough to support my aspiration. The important thing is I’m going to take the experience and see how I can adapt my training to achieve it next time. Georgie was already back (a long time before me!) and David was right behind me – I was still trying to stand upright without feeling like I was going to fall over when he emerged from the goody-bag distribution. 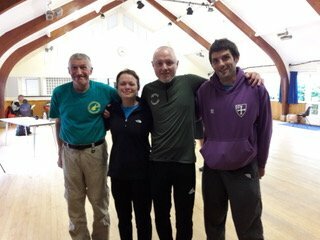 Some of the other Striders arrived too, including Simon, Stephen J & Vics and Steph. We had a chat about the race and watched the prize-giving, proudly cheering Stephen collect his prize for 3rd male. By this point, we’d cooled down and agreed it would be a good idea to be ready to escape the car park once they re-opened it. We knew the access was being shared with the race route, so might need to be patient. From where we sat in the exit queue, we couldn’t see what was happening but the shouty marshals who were there when we arrived were curiously absent. Eventually there were signs of movement but mostly behind us rather than ahead as people bolted for a different exit. We eventually decided that was the better option and joined them. Once we were out, it was a smooth run back home. The following day there was an email from the organisers which explained what had happened and why the start and parking arrangements were different to previous years. In short, they’d been denied access to a piece of land they had previously used and the aero club had stepped in at the last minute, which allowed the race to go ahead. The exit arrangements were always going to be a challenge, but were compounded by someone ignoring the road closure and then getting their car & trailer stuck in the entrance gate. The organisers have promised to learn from this year’s arrangements and improve them for future years, and I’m fully confident that they will. Apart from the parking problems, which for us were only a minor niggle, the only downside with hindsight was that none of us thought to organise a Striders group photo before the start. 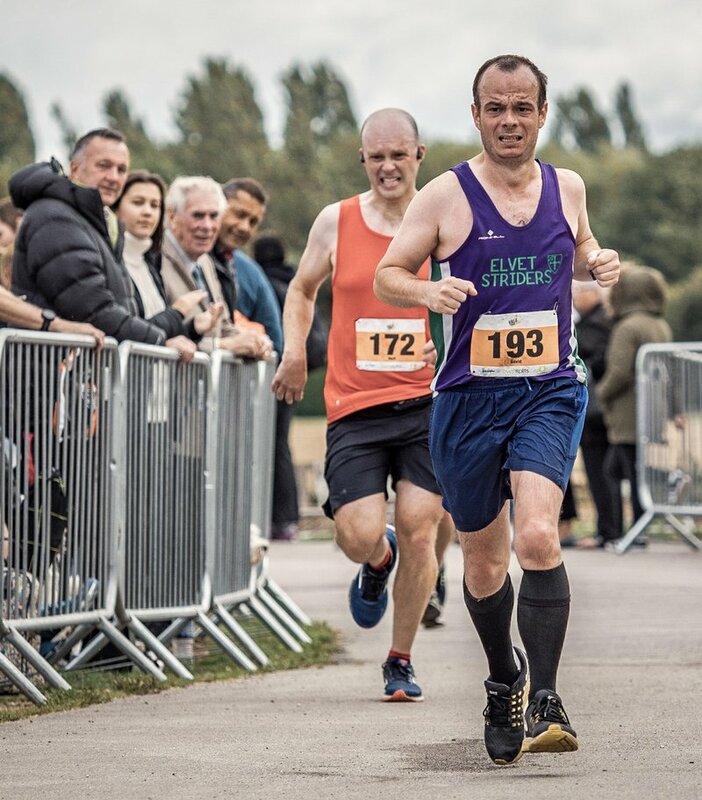 I’ve tracked down some excellent photos from John Ashton, amongst which I humbly submit my own Race Face and Flying Feet nomination for this year. I’m told the course has a lot in common with the Brass Monkey – mostly flat, one bridge, a loop to turn, a common start & finish. Perhaps with the right adjustments to my training over the next few months, that might be where I could try again to recover those lost minutes. Before I get carried away I’ll see if I can get an entry first! Hindsight is a wonderful thing don’t you think? And it was with the benefit of hindsight – I realised quite quickly, yesterday actually – that thinking of running the GNR was extreme folly! 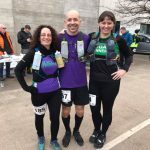 Let’s look at the facts – I hadn’t done a serious race since 2017, the Coniston 14 in March. Since then I did the Beer Belly run, a fun run in Consett – 5K of fancy dress mayhem on August Bank Holiday 2017, and a couple of park runs this year. I had to defer my GNR number for last year. So there I was in the late spring this year, my knees had at last started behaving themselves, so I thought, hey, I’ll start training for the GNR. After all I would have paid over £100 for the same number. So around 2 months of training commenced, basically starting from scratch. My longest run (last weekend) was 9 miles on the Waskerley Way, painfully slow. But I thought, what the Hell, I’ll get round. The plan was to start very slow, and to walk up the hills. Or to do Allan Seheult’s run 5mins walk 2mins plan. 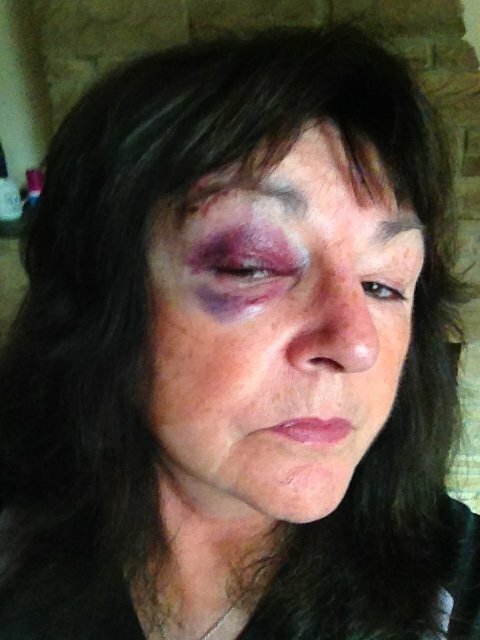 I had serious doubts all last week but I thought – what’s the worst that could happen … another black eye?? After all, it was plastered all over the walls of Howtown Outdoor Ed Centre when I was a young teacher “A quitter never wins; a winner never quits”. So no quitter, I thought just do it. Sunday dawned and I pitched up for the bus. Arriving at the start there was the usual stampede for the toilet cubicles (with many repeat visits!). At first the weather was uncertain – rain or sun? Or both, as it turned out. Eventually, I went to my number area (green) and my ‘pen’ group (i). Kay Cairns was there along with a few new Striders. It was a long wait with rain, then sun, then more rain … and the Red Arrows. It took around 35 minutes of walking to cross the start line, mostly walking. And then we were off. I didn’t even start my watch but I realised pretty quickly that my ‘start slow’ plan wasn’t working. On the Tyne Bridge I spotted that my number/pen group were following the pace flags for 2h25 and 2h 35 – surprisingly close to each other. I was thinking about 3hours (pathetic I know!) but realistic. So I slowed down and after the Tyne Bridge walked up to the Felling Bypass. By then, Mo would approaching the last mile and a sub hour victory! So far so good. It was warming up and I got to Heworth ok with the run/walk plan. It was when I got to Whitemare Pool that things began to unravel. I was hot and I was starting to feel achy. I thought it was the beginning of cramp. Very soon just about everything below the waist began to tighten up and ache. By then I was walking. 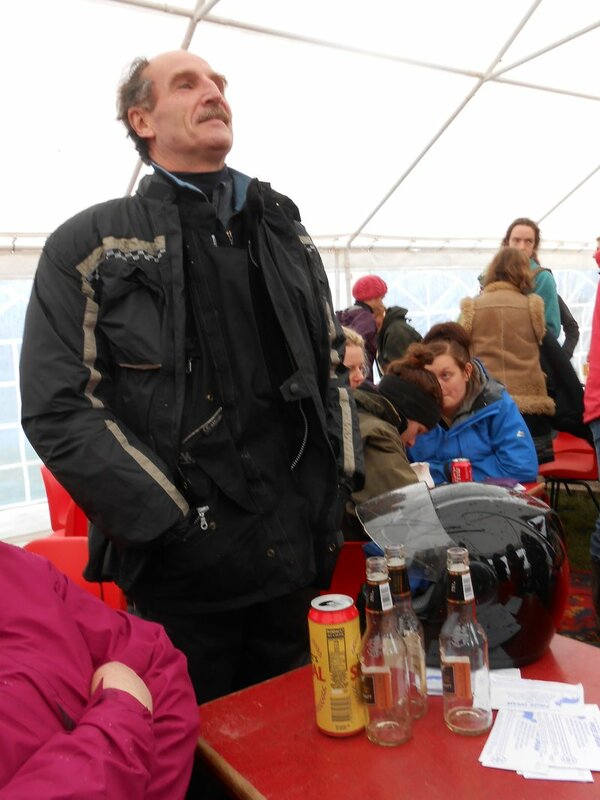 I trotted into a St John’s Ambulance tent and explained that I thought I was cramping up and could I have a painkiller? “Oh no” they said, “ We couldn’t possibly give you Ibuprofen!”. “To protect my kidneys?” I asked. (You see I do listen Paul Evans!!). “That’s right”, they said. So they applied something topically to my legs and lower back. I have no idea what it was, there was no smell and it could well have been a placebo, but it did seem to work, for a short while. They also gave me an electrolyte drink and sent me on my way. By the time I got to the John Reid Road and around 8 miles I was struggling. My legs really hurt and running was just so painful. So walking and the odd period of jogging ensued for the rest of the way. I’d had lots of spectators shouting encouragement and calling out my name. And around 9 miles I heard “Pam Kirkup, Elvet Striders, what are you doing back here? Get a bloody move on”! I have no idea who it was but it was both flattering and encouraging but also a little bit disheartening. I knew I could do much better. By the time I got to 10 miles I began to think ‘no this is not cramp it’s just extreme muscle fatigue’. I kind of imagined my legs screaming out at me “No! Enough already! What are you playing at? We’re not prepared for this”. And if muscles could speak they would have been right. My training had been minimal and I just didn’t have the stamina or the endurance to get around without causing this level of pain and discomfort. When I got to the horrible hill at mile 11 I looked around me and thought, ‘Yes I’ve found my level’. Nobody was running – young, old, slim, overweight – everyone was walking. And then we got to the Elvis Impersonator at the top of the hill. I didn’t actually see him but the song ‘King Creole’ was belting out. The last time I ran the GNR his song was ‘The Wonder of You’ which, in my case, would have been somewhat ironic this year! I had hoped to run down the hill to Marsden and along the last mile to the finish but by then my legs had seriously gone. I managed a few hundred yards but then I realised I was wobbling so much that walking was the best I could do. I did think they might give way but I got to the finish and then lurched off to the baggage bus for my stuff. I got to the pub after a very slow walk – mainly the crowds –to Bents Park and then up the hill to the Look Out. I’m not a beer drinker but I have to say, the restorative powers of a pint of lager are amazing. By the time we left the leg wobble had gone and the pain was receding. Positives – at least I finished even though it was tempting to jump on one of the hoppers taking struggling runners to the finish; I managed to avoid the burly nutters and thugs so wasn’t pushed over and no black eye; I have recovered quite quickly – no pain today; and it hasn’t put me off. It’s just made me realise I have to do much more consistent training for such a race. Maybe I should do a few 10Ks and build up. 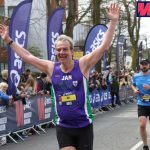 From nothing to a half marathon like the GNR is probably foolish – with the benefit of hindsight! Enter your details below if you'd like to be notified when new posts are added.